Now that the great British weather seems to of left us for another year. I have been browsing the online stores to see what they are offering for Autumn and Winter. It is crazy that I am thinking about the change in season already as it is still August, but it is dark, getting colder and raining. 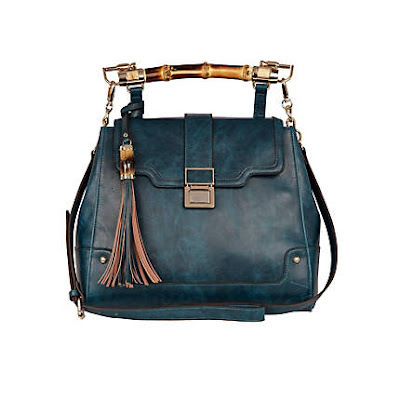 While looking at River Island I fell in love with a bag (the above photo), I love the colour and the bamboo handle. My normal everyday bag is always black (my safe go to colour, that I match with everything). I think I may change it up this season and go for a dark green - if I am brave enough to follow through with this action is another question. I'd have never guessed it was from RI!! I am currently in love with two bags from Zara... I can not decide therefore may just *closes eyes* buy both!